Projects, Agriculture, or Turf Management Challenges? 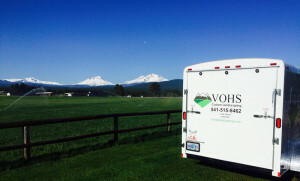 Over 25 years living and working in Sisters, Oregon.Vohs has solutions. 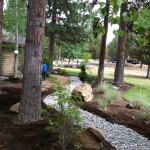 Vohs Custom Landscaping helps achieve your “landscape dreams” with attention to detail, respect for your hard earned money and an approach that feels a whole lot like family. We always treat each project as if were being completed at our own home. 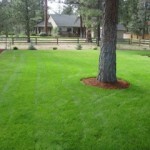 We have an approach that is different from other landscape companies in the area. This balanced approach is based on owner, Ryan Vohs’ background in managing some of the top golf courses in the Pacific Northwest and his long experience with Central Oregon turfgrass. The Vohs method of grass management results in a stronger, healthier plant with fewer weeds and hardier growth. 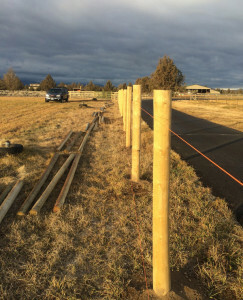 We do fencing, restoration projects, pond construction and landscaping of all kinds. We have a dedicated, hardworking team, as well as heavy machinery that can handle any project. Do you have a second home or vacation home in Sisters or Black Butte? Live here full time? Do you have a large acreage property? Or, need a future homesite maintained? 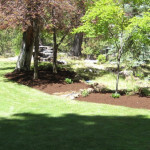 Talk with an expert about your landscaping needs. We offer free consultations (and even a no-cost second opinion).